After a scorching headliner set at our March '12 show, Nick Cody returns to The Clubhouse for our May '13 show. Plus a selection of Tasmania's finest comedians to support and hosted by David Bakker. Nick’s brand of stand-up offers a unique combination of edgy, thought-provoking material ranging from brutally honest and uninhibited storytelling to rapid-fire and hilarious social comedy. 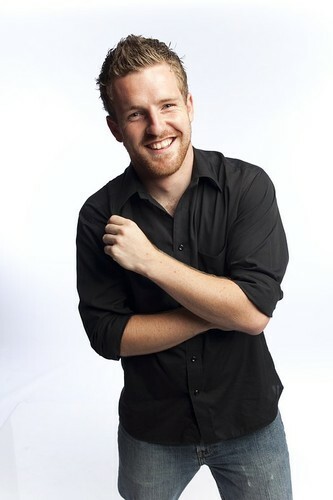 ​In addition to sold-out shows at the Melbourne International Comedy Festival with full-length solo shows "Sinful Thinking (2012), It’s Not You, It’s Her (2011) and "Lust Actually" (2010), Nick has recently featured as a guest on Hughesy & Kate (NOVA100) and NOVA’s Summer Lovin’ with Ed Kavalee & Tony Martin.